Millions of people worldwide have a condition that you may have never heard of called vitiligo (vit-uh-lie-go). People of any age, race, or gender can develop this illness. It’s not contagious, but it never goes away. Vitiligo is a condition which causes your skin to lose its natural color in blotches. Vitiligo doesn’t merely affect the outer skin; it can impact the eyes, hair, mouth, and self-esteem as well. You may feel stressed, self-conscious, or become depressed by the change in your appearance caused by vitiligo. Your skin gets its color from skin pigment, also called melanin. When a person suffers from vitiligo, cells that produce melanin have died off or stopped functioning. As a result, their skin is marked by white patches. 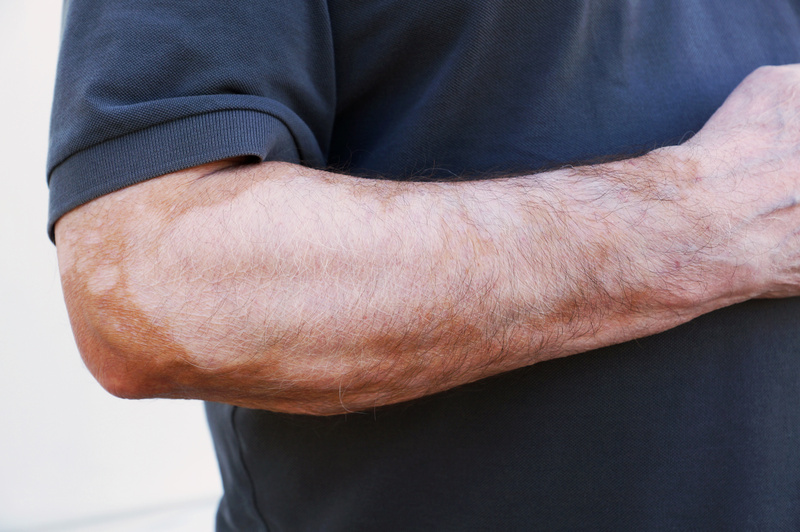 Scientists are unclear as to exactly why the melanocytes fail or die. Theories include autoimmune disorders, heredity, or events such as stress, sunburn, or industrial chemical exposure. Fortunately, the dermatology specialists at Gateway Dermatology PC in Lincoln, NE, can discuss the skin treatments options for this condition that will deliver quality results. Treatments are aimed at stabilizing the pigment loss and restore lost skin color. In mild cases, cosmetic options to camouflage the white patches include makeup, self-tanners, and skin dyes. These offer a safe way to make vitiligo less noticeable. Topical corticosteroids and photo therapy such as narrow band UVB and PUVA light treatments are a more serious approach and tend to have better results. To learn more about the skin treatment options available for vitiligo through Gateway Dermatology PC, call (402) 467-4361 to schedule an appointment. Dr. David Bigler or Christine Trombino, PA-C will assess your case and prescribe the best treatment plan for your needs.